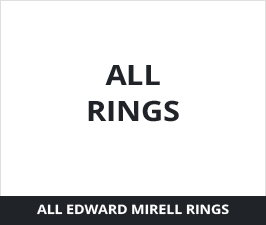 Shop the largest collection of Edward Mirell titanium rings and jewelry available anywhere. 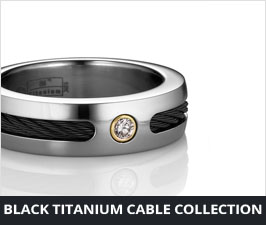 For the finest unique titanium rings, men's wedding bands, and cable jewelry. 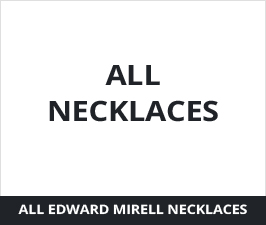 We've been an Edward Mirell partner since 2002. 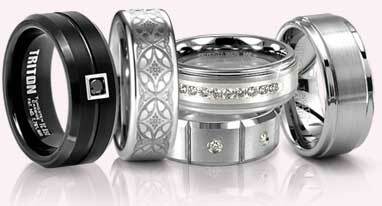 Seriously, the Edward Mirell titanium collections are the finest anywhere. Made in south Florida, right here in the US, so you can count on top quality materials and workmanship. 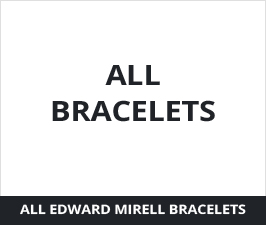 Edward Mirell developed the Black Ti titanium alloy, titanium casting and many other high tech jewelry developoments. 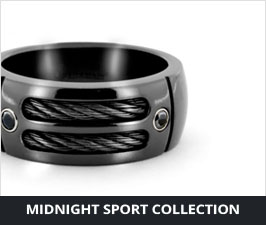 Insist on the original black titanium from Edward Mirell. 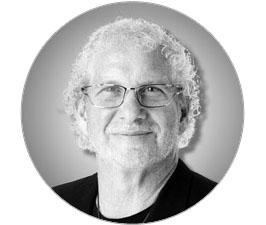 Be sure to scroll down and read our interview with the founder, Edward Rosenberg. 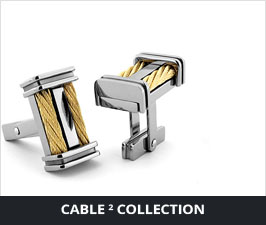 For the finest titanium rings and cable jewelry, turn to Edward Mirell. 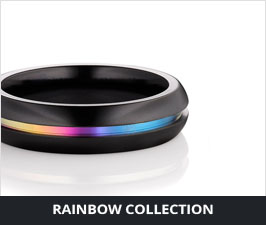 These aren�t your average rings. 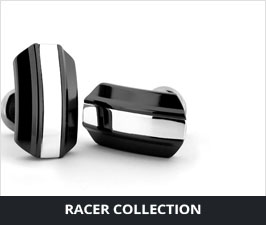 Because they�re made from top-quality titanium, you know you�re getting a highly durable and long-lasting piece that you can wear for life. 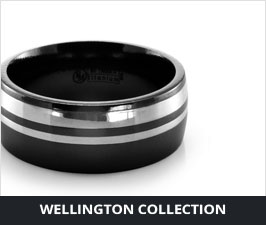 On top of that, the workmanship that�s evident in Edward Mirell black titanium rings is astonishing. 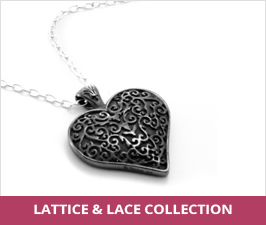 We�re talking stunning details, incredible attention to detail and unique designs that you won�t find anywhere else. That�s why so many people are turning to Edward Mirell to get the most important pieces of jewelry they�ll ever own, including their wedding bands. 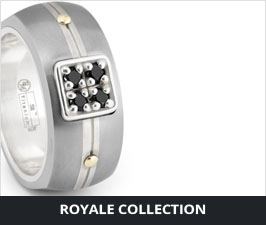 At Titanium Jewelry, we�ve been an Edward Mirell partner since 2002. 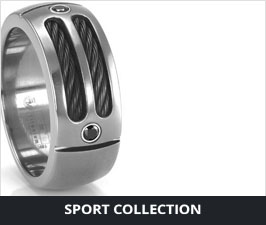 We�ve watched as the designs and craftsmanship in these rings that maintained that high-end quality throughout the years. We�ve also watched as Edward Mirell has been an innovator in the industry, coming up with new high-tech jewelry developments. 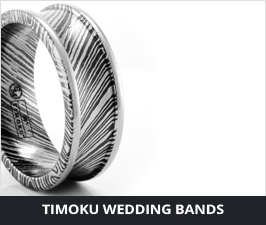 One of the prime examples of these developments is the Timoku wedding band, which features several layers of gray and black titanium fused together for a wood-grain look. 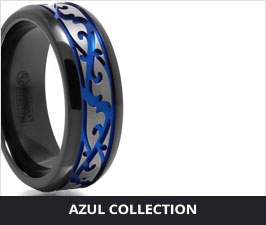 Edward Mirell made this possible by drawing upon an ancient Japanese technique, creating one of the most unique rings currently available. 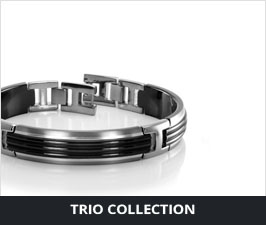 Other high-tech innovations from Edward Mirell include black titanium alloy and titanium casting. 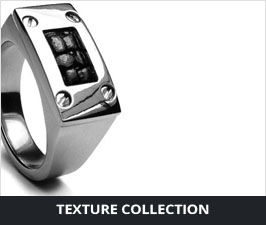 You�ll find all the most popular and stylish Edward Mirell ring collections when you shop at Titanium Jewelry. 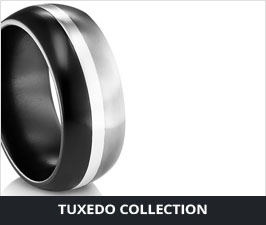 That includes the unique Timoku wedding band collection, the elegant tuxedo collection and the masculine midnight sport collection. 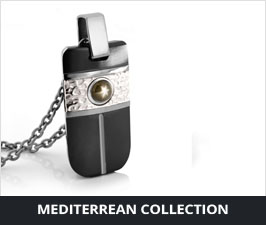 Plus, you�ll find other jewelry and accessories, including cable necklaces, cufflinks and more. 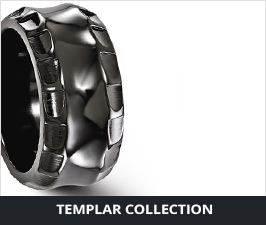 With the craftsmanship and quality of Edward Mirell combined with Titanium Jewelry�s lifetime warranty, you can rest assured that any purchase from this collection will last through the years. 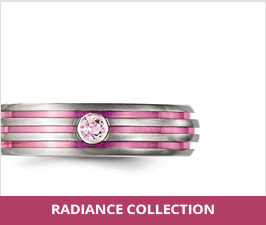 Want to know more about Edward Mirell jewelry? 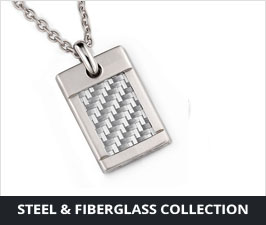 Learn more about the materials they use and their history as the leading titanium jewelry manufacturer in the world.